An immaculate home with the Connerton lifestyle for this price?! This 3 bedroom/2 bathroom stunner is going to blow you away from the curb and all the way through the home! 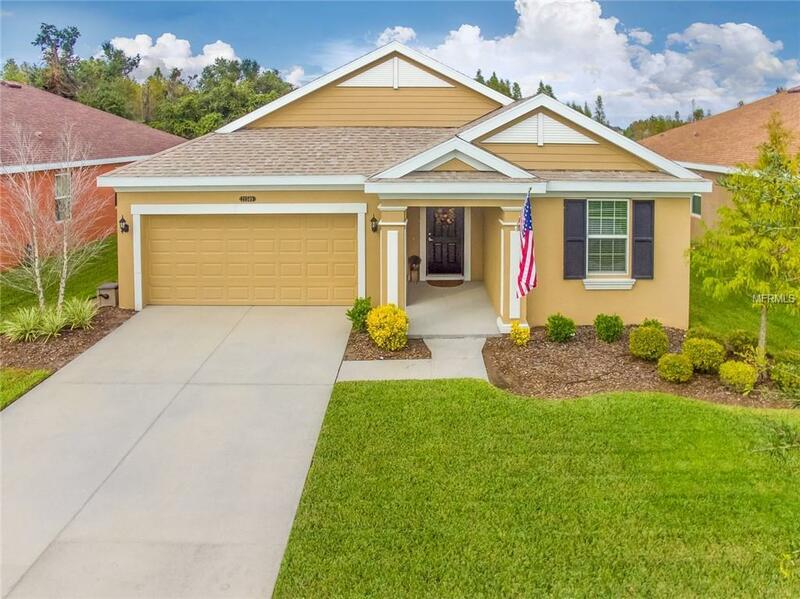 The adorable curb appeal invites you through the front door and into a light and bright open floor plan! It's only 3 years new, so it's peace of mind not having to worry about anything to fix! The high ceilings and great room provide the perfect spot for entertaining, and the neutral colors allow for a warm, cozy feel! After you are amazed by the owner's suite, go outside to be wowed by the gorgeous water and conservation views out back! Feel like you have your own paradise, and have every convenience you need right around the corner! Once you pull yourself from the home, get out and enjoy everything Connerton has to offer such as the resort pool, trails, community center, and so much more! You won't want to miss this incredible opportunity!